Invest in the future by supporting the academic goals of the youth who will become tomorrow's leaders. Empower the communities in which we live, learn, and grow. Embrace our commitment to service, scholarship, and success. Each year, this event features the culinary creations of volunteer chefs, both amateur and professional, who prepare and serve their signature dishes for attendees to enjoy. This year’s event, with an anticipated audience of over 1,000 men and women, promises to be extraordinary! In January 2015, IVY AKAdemy transitioned into the ASCEND℠ Mentoring Program—the signature educational enrichment program of Alpha Kappa Alpha Sorority, Incorporated. We are excited about this opportunity to have an even greater impact on the youth (young men included) in the Greater Philadelphia area! 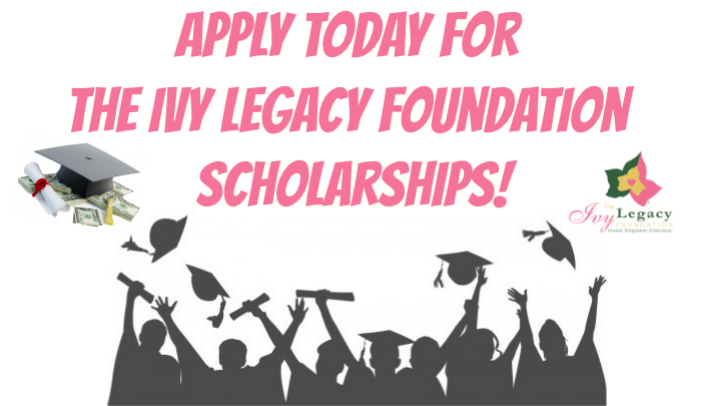 The Ivy Legacy Foundation is looking for partners to sponsor scholarships. Consider celebrating a milestone, honoring a loved one, or creating a legacy of giving. For more information please call 215-848-4735.